Welcome to our new Success Stories series, in which we interview Actualize grads who successfully made the leap and landed a job in tech. 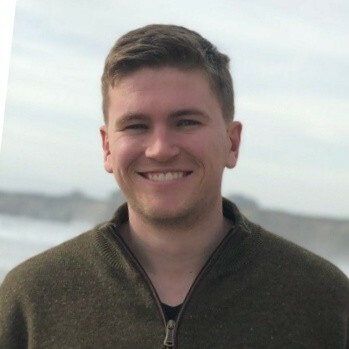 In this first post, we interview Ian Matthews of San Francisco, who recently graduated from an Actualize Online Live cohort. What were you doing before you joined Actualize? My background is in accounting, as I have an accounting degree from California Polytechnic State. I was most recently an accountant at KPMG (a large accounting firm) for 3 years, and I focused on audit of startups. What triggered your interest in becoming a software developer? I wasn’t liking accounting and audit as much as I’d hoped. I started looking into becoming a financial analyst, but it looked too similar to my job which I already didn't like. I've always liked working with data and Excel spreadsheets, which I why I pursued accounting in the first place, but I needed something different. I had done some coding tutorials online previously here and there, and it occurred to me to consider coding as a career. How did you become aware of coding bootcamps? While I was looking into the possibility of becoming a financial analyst, I was led down the path of considering becoming a data analyst. When looking into the requirements to be a data analyst, I saw that I needed to learn SQL. So I asked myself, "How do I learn that?" After searching for a bit, I saw some local bootcamps pop up that included SQL in their curricula. Additionally, one of my friends had gone through Hack Reactor, so I certainly knew of coding bootcamps generally. Ok, now let's jump to the end of your journey. Can you tell us more about your job search process after you graduated Actualize? In San Francisco, AngelList seems to be a great way to find jobs - at least if you flood it with applications as I did. First, I actually found a tiny part-time gig of 10 hours per week. But then I got another five or so interviews (mostly through AngelList). I eventually got two solid offers. One was better pay but for a 4-month contract, while the other was slightly less (but still great) for a full-time developer position. I accepted the latter position, since I wanted to lock in a permanent role. For both of these positions, though, all the technical interviewing was done as a take-home assignment, and then there was one in-person behavioral interview. What is the name of the company where you work now? Ah, so I'm working for a stealth startup in which I cannot yet reveal its name nor what they do. You can put it down as that I do stealth development for a stealth startup. Ha, classic San Francisco - I love it! Ok, so what is the job like? I'm only a week in, but they're doing a great job onboarding me. I spend a lot of time teaching myself Angular, the front-end framework they use, and I also shadow another developer so I can learn more about the company's current codebase. I'm really enjoying it so far. Did you increase your salary by making this career switch? It's actually a slight decrease, since I was making pretty good money as an accountant. (The other offer I got would have been in increase, though.) In any case, there's a lot of great financial upside as I progress in my software engineering career. And most importantly, for me this career switch isn't about the salary. It's going from work that I was bored of to work that I love. Fair enough! What do you know now that wish you would have known before joining a coding bootcamp? It was pretty much as I expected - I wasn't surprised by anything. The one thing I can think of is that the best way to learn to code is to keep building stuff over and over again until it sticks with you. What advice do you have for people thinking about making a career change and becoming a software developer? Make sure you’re actually interested in it first. You have to put in a lot of work, and finding a job afterwards isn’t easy so you have to be pretty committed. Great advice, Ian! Thanks so much for your time, and please keep us updated as you progress through your career!